MTV's Teen Wolf wrapped up its series finale on Sunday and fans were notified of some secrets that had been kept over the course of 6 successful seasons. 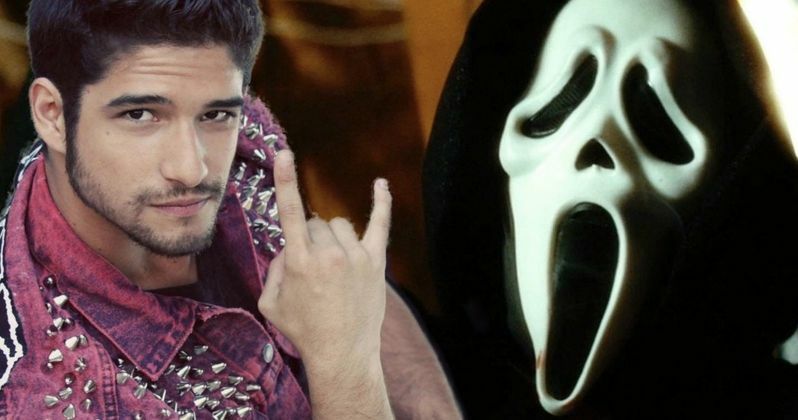 Now it has been announced that Tyler Posey will join the cast of Scream for the upcoming Season 3 of the hit show. It was also recently announced that a familiar face will be returning as well, a face that many assumed would have been involved since day one, which is that famous Fun World mask, aka, Ghostface. Season 3 will see put Posey in a new ensemble cast up against the iconic Ghostface killer. The Hollywood Reporter announced today that Tyler Posey has officially joined the cast of MTV's anthology series and that he'll be portraying Shane, a high school dropout. His character is being described as a drug dealer and a party promoter who is always hustling to make some cash, but apparently, there's way more to Shane going on underneath that tough exterior than anyone realizes. Further details have not been provided at this time. Season 3 of the hit anthology series revolves around Deion Elliot who is played by RJ Cyler. Elliot is a local star running back whose tragic past comes back to haunt him at a particularly bad time, which threatens his hard work that he's laid out towards his bright future. But that's not all, his past will also affect the lives of his unlikely group of friends. A masked killer makes Elliot his new target. Someone knows Elliot's secret and they want to use it to destroy him. Things are sure to get pretty crazy for the third season of Scream, especially since the Ghostface mask is making its small screen debut. Scream Season 3 is set to mix things up, by replacing the entire cast and focusing on an entirely different set of characters and location to the previous seasons. Everything was pretty wrapped up by the end of season 2 and its Halloween 2016 special, so it will be interesting to see the show is stepping off into a different direction. In addition, the show is also relocating to start production in Atlanta this time around. Scream Season 3 stars Keke Palmer, RJ Cyler, Giorgia Whigham, Tyga, C. J. Wallace, Giullian Yao Gioiello and Jessica Sula. The third season will consist of 6 episodes that will air as a three-night event in March of 2018, but no specifics have been announced just yet. While fans are heartbroken that Teen Wolf is no more, their taking comfort in knowing that Tyler Posey is moving into another hit MTV show that is based off of a movie. There have been grumblings of a possible return to Teen Wolf for a 7th Season, so far, the talks are just wishful thinking at this time. As previously mentioned, [Scream} will make its return in March of 2018 with a new set of characters and challenges that are sure to entertain fans of the hit MTV series. Scream Halloween Special Trailer: Has Brandon James Returned?